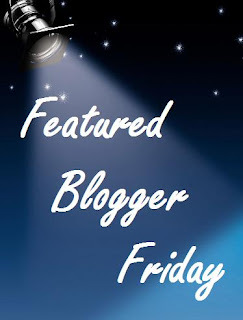 Welcome to another Featured Blogger Friday where every week, I feature a different blogger. Today's blogger just so happens to be the sweet and sassy(not to mention extremely sarcastic) Annette of Fairy Blog Mother. Trust me when I say you are never bored reading her daily posts! Lol I have so much fun reading her blog, that I wanted to take this opportunity to share it with all of you and spread the good humor around! 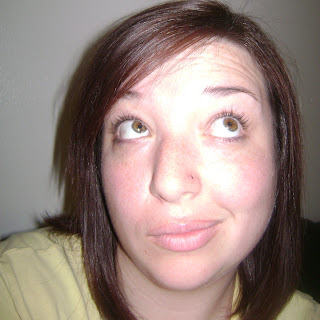 My name is Annette and I am the weirdo behind Fairy Blog Mother blog. I am 31 years old...married...mother to three kids, ages 13, 7 and 2. And like Valerie, (last week's featured blogger) I'm going to be a crazy cat lady one day. I wanted to pick something that people would remember. Fairy Blog Mother isn't totally original...but it's memorable. My personal blog has pretty much been abandoned. I write about whatever I want, whenever I want. A majority of my posts are reviews and giveaways. But I like writing about everything. I attend a lot of concerts and go to the movies often so I share my opinion of those things. Funny stories about my kids and some memes...because memes are fun damn it. It would be nice to be paid for the work I do. It's a lot of work to blog (the way that I blog). To organize reviews and giveaways, moderate comments, draw winners, email everyone and their dog about this and that. And yes, I am compensated with free products for the most part. But it is still a lot of work. But I love it...I get to "pretend to be a writer" and play Santa Claus. I do not have any wisdom teeth. They do not show up on my dental x-rays and I have never had them removed. My dentist says I'm lucky. I have to agree. Have you ever sang "Like A Virgin" at a karaoke bar while you were 8 months pregnant? I have! Oh, I could write some sappy paragraph about about how my children inspire me to stay young at heart and blah, blah, yada, yada. Which is all true...but zzzzzzzzzzzzzzzzzzzzz. In junior high school it was Jim Morrison (The Doors) who inspired me to start writing poetry. Eating at McDonald's inspires me to stay away from the bathroom scale. When I started blogging I was actually censoring myself a bit by not swearing in my posts, keeping the sarcasm to a minimum...I didn't (and still don't!) want to offend anyone. But then I just said screw this...this is my blog, I'm doing this my way. If people don't like it they won't read it and there's nothing you can do about it...so don't sweat it. Don't be afraid to ask for help from other bloggers. I've contacted many (many!) and every single one of them have helped me and answered my questions. I've "met" a lot of great people just by reaching out and asking for help. I LOVE reading Annette's blog, she makes me laugh everyday. I enjoy her sense of humor, her honesty, and her "take no prisoner" attitude. Thanks for featuring her Kayla. Thank you for featuring me on your blog today.